Puff your way into sweet euphoric bliss with a LAK Gelato L6 Cartridge. Gelato is the result of parent strains Sunset Sherbet x Thin Mint Girl Scout Cookies, creating a delicious Indica-dominant strain. This Los Angeles Kush vape cartridge expresses the flavor profile of the Gelato strain with notes of berry, citrus, and lavender. The effects are just as sweet! A couple of drags of this vape provides focus and relaxation while uplifting spirits and promoting happiness. 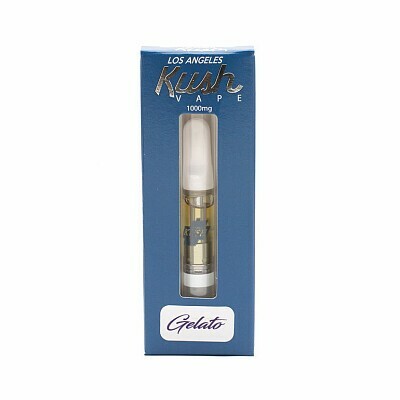 Every LAK Gelato L6 Cartridge supplies 1000 mg of active THC.